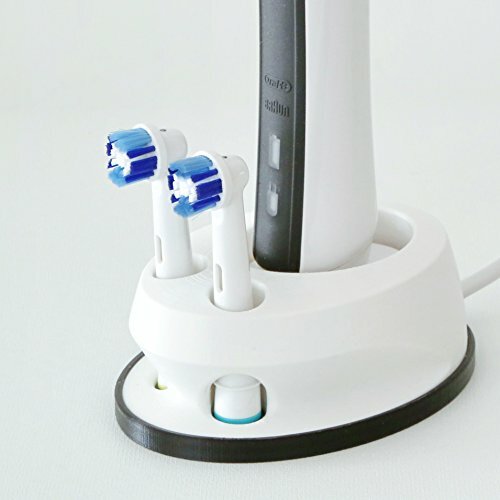 Practical Toothbrush Holder, Perfectly suited to the Oral-B toothbrushes with a oval charging station (e.g. Type 3757). The tooth brush holder are developed and intensively tested from us. The manufacture using 3D printing shown here in the duster to Hamburg. Our brush holder are made from PLA, so is biodegradable. PLA is hard and wear resistant, but not suitable for operating conditions - please do not wash in dishwasher. Toothbrushes and handset are not included in the delivery.